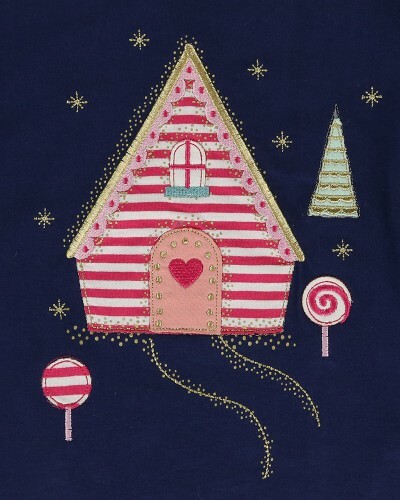 A gingerbread house and sweetie trees adorn this fun top. Made from soft navy jersey fabric, the top has frill inserts to shoulders and detailed applique with shiny lurex stitching. This piece is perfect for parties and would make a lovely gift.